Rob McNeal admitted to the North Carolina State Bar. Mr. McNeal represents businesses as lead litigation counsel in a variety of environmental, energy, commercial, and tort matters in both federal and state courts. In addition, he advises clients regarding energy and environmental regulatory matters. He has extensive experience in litigation concerning the cleanup of legacy oilfield properties, toxic torts, and property contamination including handling a large number of these cases in trial and appellate courts. Additionally, he has worked on a broad range of litigation associated with other environmental and energy issues, including commercial litigation, numerous class actions, environmental citizen suits, refinery-related litigation, pipeline matters, oil & gas disputes, and landfill suits. 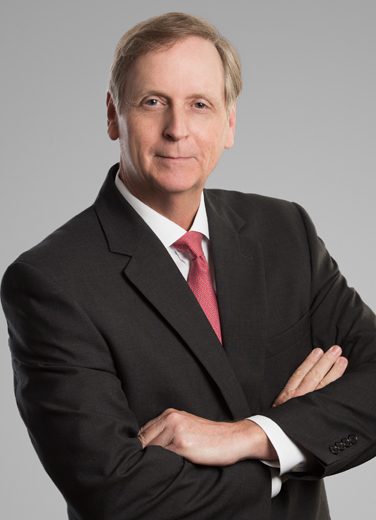 He has represented clients in environmental disputes with Louisiana regulators. Mr. McNeal was formerly trial counsel for an integrated oil company and is familiar with upstream and downstream operations and related legal issues. The Best Lawyers’ 2018 New Orleans Environmental Law "Lawyer of the Year"
The Best Lawyers’ 2016 New Orleans Environmental Law "Lawyer of the Year"
The Best Lawyers’ 2013 New Orleans Environmental Law "Lawyer of the Year"
Rob teaches at Vanderbilt Law School as an Adjunct Professor and served as a Lecturer at the University of Houston Law Center (2012).